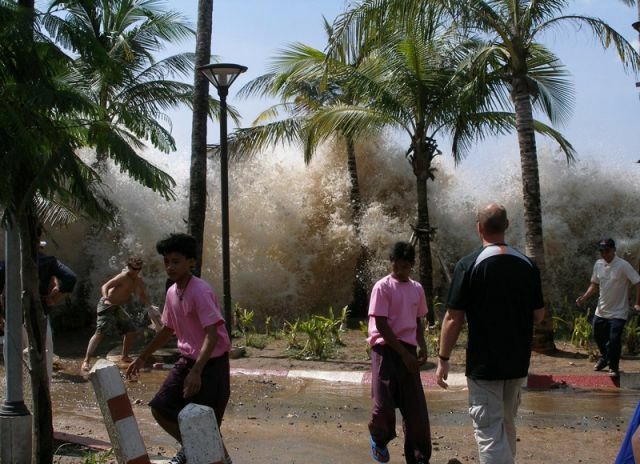 A Better Tsunami Warning System? A new paper in Geophysical Research Letters outlines a better and cheaper way to detect and track tsunamis based on equipping ships in the commercial fleet with real-time-streamed GPS (Global Positioning System). A… broadly applicable deep-water GPS-buoy system… like the existing DART network, would be extremely costly to build and maintain, limiting the number of units that could be deployed, and thus requiring careful site selection based on our best estimate of the hazard… We suggest that the commercial shipping fleet, in contrast, represents a vast existing infrastructure with excellent spatial coverage across most of the globe that could be exploited to construct an extremely cost-effective tsunami detection network in the deep oceans. The authors got a chance to test the feasability of this approach when the M8.8 earthquake struck Chile in February 2010. 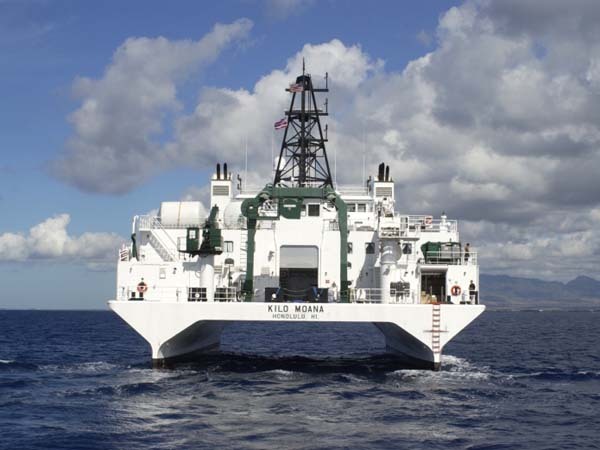 At the time the University of Hawaii research vessel Kilo Moana (photo above) was underway on a passage from Hawaii to Guam (map above), cruising at 11 knots of speed and logging data from its dual onboard GPS. These recorded a modest ~ 4-inch-high wave (~10 centimeters)—the first ever shipboard detection of a tsunami. It is estimated that 11% of the commercial fleet is contributing to the VOS scheme… VOS reports indicate that the north Pacific shipping lanes between Asia and N. America have, on average, more than 350 VOS ships crossing the dateline on any given day. 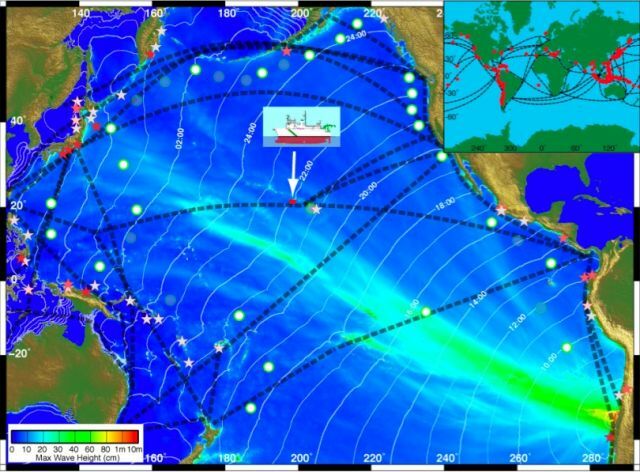 Assuming an average transit of ten days, if each of the currently cooperating ships could be upgraded to provide GPS data streams we could expect at least 3,500 new tsunami sensing systems just in the N. Pacific. The authors also calculate that a ship-based detection system would have detected in less than an hour the 2004 Indian Ocean tsunami, which, undetected, killed upwards of 230,000 people in 14 countries. Foster, J. H., B. A. Brooks, D. Wang, G. S. Carter, and M. A. Merrifield (2012), Improving tsunami warning using commercial ships, Geophys. Res. Lett., 39, L09603, doi:10.1029/2012GL051367.